Star Trek Forward To Adventure Star Trek T-Shirt. 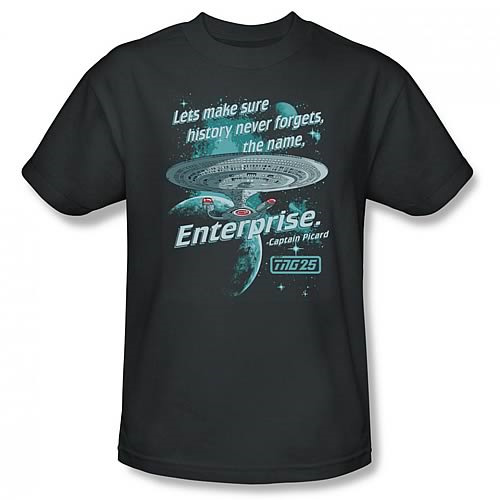 Join the Enterprise crew from Star Trek: The Original Series on interstellar adventures with this 100% cotton, high-quality, pre-shrunk, charcoal Star Trek T-Shirt. Machine washable. Order yours today!